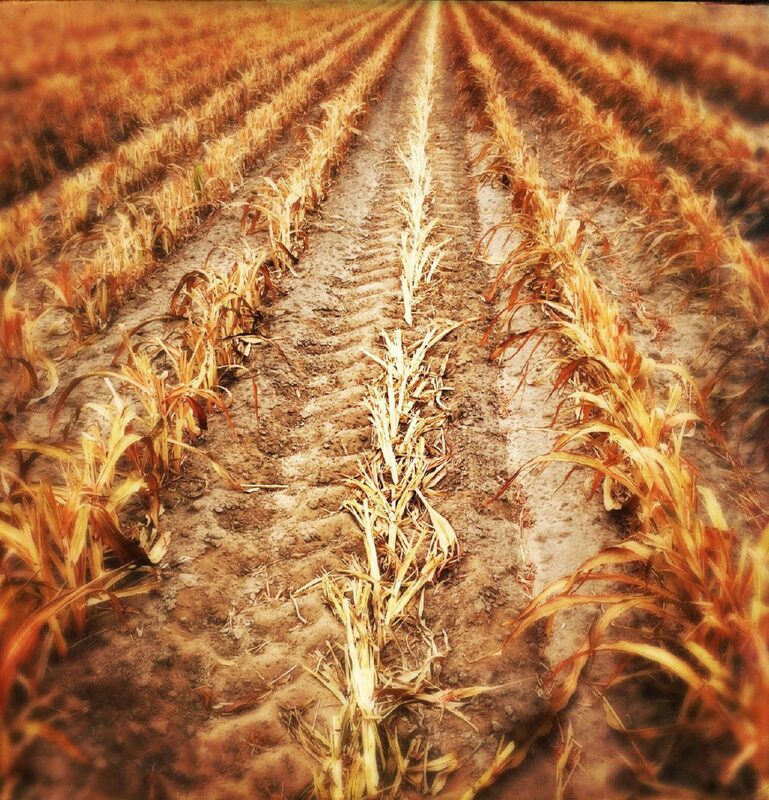 Drying and cracked soil bodes no good for this Cameron County corn. 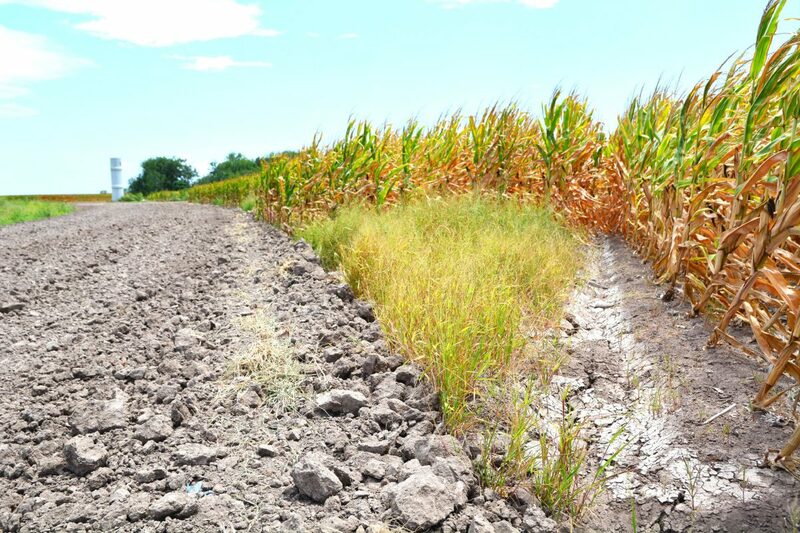 Non-irrigated or dryland crops are in danger due to drought conditions in Cameron, Willacy and Hidalgo counties. HARLINGEN — Welcome to the desert. Concern among agricultural interests in the crop-rich Rio Grande Valley is rising dramatically as spring and its triple-digit temperatures lurches toward summer with practically no rainfall. Long-term forecasting from both the U.S. Drought Monitor and the National Weather Service is not optimistic that things will improve, with the former predicting the severe drought in the Lower Valley will continue, and the dry conditions in the Upper Valley will deteriorate to match it. “Should the pattern hold firm through the balance of summer, the June-August 2018 period will rival or even break record to near record hot summers in 1998, 2009, 2016, and 2017,” the National Weather Service in Brownsville predicts. “The searing sunshine and likely limited rainfall is expected to worsen drought, and after many fits and starts with abnormally dry to moderate drought being kept in check by local ‘just in time’ rainfall, confidence is high that severe to extreme drought will develop over parts of the Rio Grande Valley and Ranchlands by July and carry into August,” the forecasters conclude. Through June 10, National Weather Service records show Brownsville has received 5.30 inches of rain in 2018, more than three inches below normal. Harlingen has recorded 4.13 inches of rain, down 4.48 inches from its usual number, and McAllen has received 3.82 inches of rainfall, down nearly four inches from its normal amount. Valley growers have planted 213,000 acres of cotton this year, and usually put in about 300,000 to 330,000 acres of grain sorghum. Grain sorghum acreage is below normal levels probably due to anticipation of an escalating trade spat between China — which buys most of Texas’ sorghum crop — and Washington. China announced in April it was imposing a 179 percent tariff on U.S. imports, claiming it was an anti-dumping penalty. Last year the Valley planted about 76,500 acres of corn, according to U.S. Department of Agriculture statistics. Planting is one thing. Harvesting may be quite another. Not all growers in the Valley have the luxury of being able to irrigate, thus the term “dryland crops,” fields which are totally dependent on natural rainfall. Grain sorghum has pretty much run its course in the Valley this growing season and will be harvested soon, but there’s still hope for cotton which is picked later in the year. By contrast, irrigated cotton in Cameron, Willacy and Hidalgo counties — much of it, anyway — is looking very good. Those fields would still benefit from some rainfall, Cowan admits. Those cotton growers who have irrigation, “they’re pushing water like crazy,” Cowan said. “Had a little meeting with some cotton growers (last week), and they’re saying they’re having a hard time keeping enough water on it because it’s been so dry,” Cowan said. Jeff Nunley, executive director of the South Texas Cotton and Grain Association based in Victoria, said irrigation in his region can be a pricy solution to dry fields. The Valley may have its rainfall troubles, but our level of dryness is nothing like that occurring in the Texas Panhandle. There the “good” areas are in severe drought (D3), and the rest of the region runs between extreme drought (D4) and exceptional drought (D5), which is the ultimate drought category. “Across the deep South Texas counties of Willacy and northern Cameron, conditions were degraded this week from D1 (moderate drought) to D2 (severe drought), based on stressed fields of cotton,” the U.S. Drought Monitor said in its June 7 report. Abnormally dry, like eastern Hidalgo County, is D0 and moderate drought like that found in the western half of the county is D1. At least part of the problem for the Valley is the fact “La Canicula,” the static high-pressure center over West Texas and northern Mexico that dominates our summer weather, set up three weeks early in 2018. Texas growers are hoping this is one forecast which doesn’t come to pass. “It’s one of those years where they just hunker down and do the best they can and hope its better next time,” Cowan said of Valley growers. “There will be some good irrigated cotton, corn and sorghum. A tropical disturbance forming in the Caribbean just off the coast of Colombia could break through the dry weather pattern that has set up over South Texas. Although not necessarily superstitious, Nunley concedes a Texas farmer needs to be wary when it comes to voicing hopes about tropical weather systems, even those not big enough for an official name. “You have to be careful what you wish for this time of year,” he said, laughing. “I remind people that in May of 2007 we worked and requested a disaster declaration of drought. In June of 2007 we requested and received a disaster declaration for excessive rain and flooding. “That’s as crazy as it gets right there,” he added. The U.S. Drought Monitor lists five dry conditions ranging from abnormally dry to moderate and severe drought, and then extreme drought to exceptional drought. The report for June 7 shows most of Texas in some degree of water shortage, ranging from extreme drought and exceptional drought in the Panhandle region to abnormally dry to moderate drought in most of the rest of the state.